Entry by ёй on Wed Jul 27 04:35:30 2011. Woah, the boy is really cute! Suteki~! So sweet, I love it! The underwater theme is what makes it a lot sweeter. soooo beautiful. love the underwater idea and the girl's smile. How pretty. Thank you Touki no Tsubo. 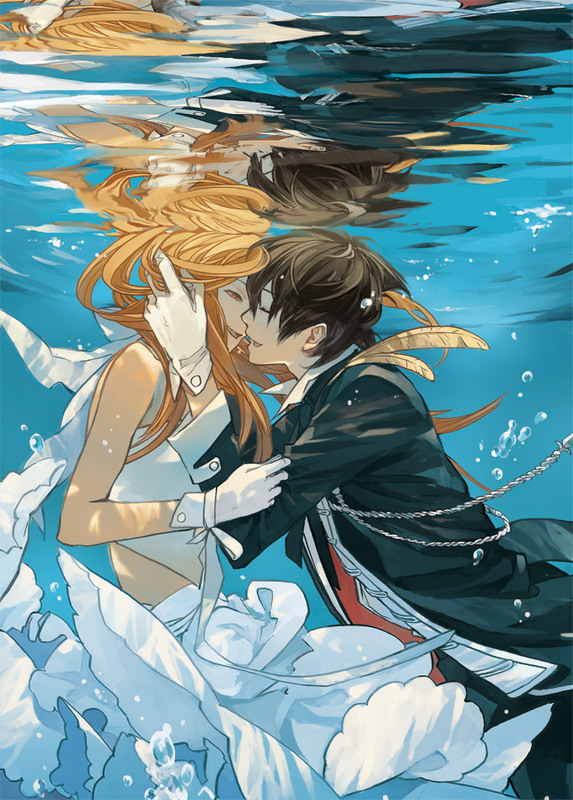 Wow, they are about to kiss under water. Does anyone get the feeling of the scene of Percy and Annabeth in Rick Riordan's books? The artist currently draws a manhua called Tamen di Gushi. Someone already translates it (but it's yuri, a nice fluffy one if you ask me). Didn't know the artist is Old Xian. I should really check him out.